I don’t want to stress about anything today. Not only is it Friday (yey) but I feel like I’ve been surrounded by so much stress lately, that it is my responsibility to chill out, just like the little bug on this flower. 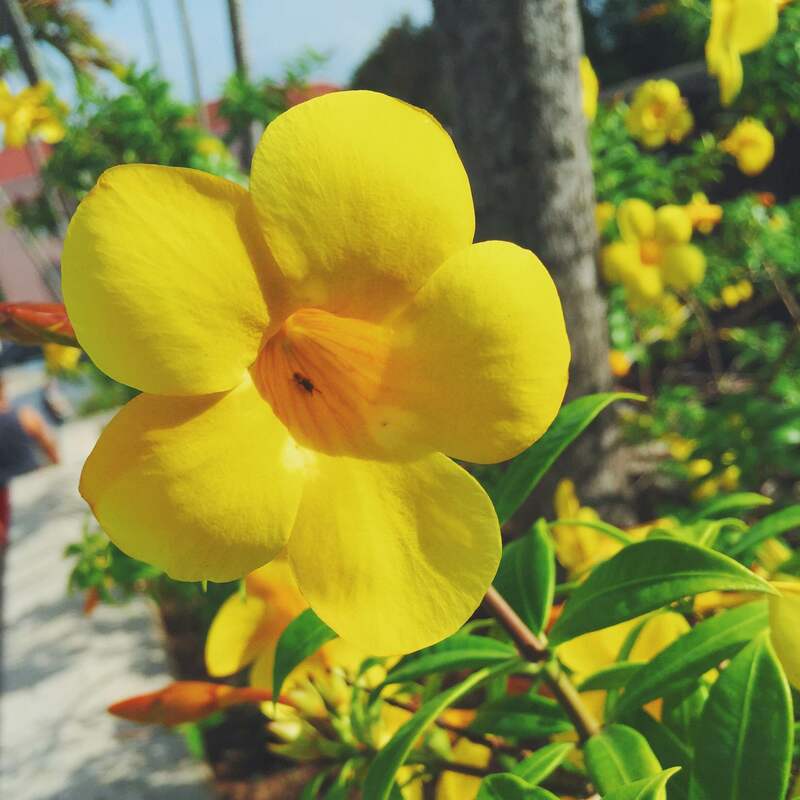 Growing up in Puerto Rico I loved this flower, “canaria”, how I’ve always known it. Its bright yellow always brought out the best of its surroundings. I loved to play with them, I would put them in my hair and got so excited every time my grandma had some in her garden. It’s funny because if you ask me what my favorite flower is, I wouldn’t say the “canaria”. I would most likely choose sunflowers or tulips, but still, this little yellow flower makes me so happy in a way that it’s so simple, some might find silly. I was pissed that the little bug made it into my picture and I did not notice it until later when I could not retake it. But you know what? Good for you, little bug. You stay there and chill in that awesome flower. So there it goes, that was me, not stressing out about things and trying not to dig too deep into my thoughts for a moment. It’s Friday, let’s all chill and be happy.